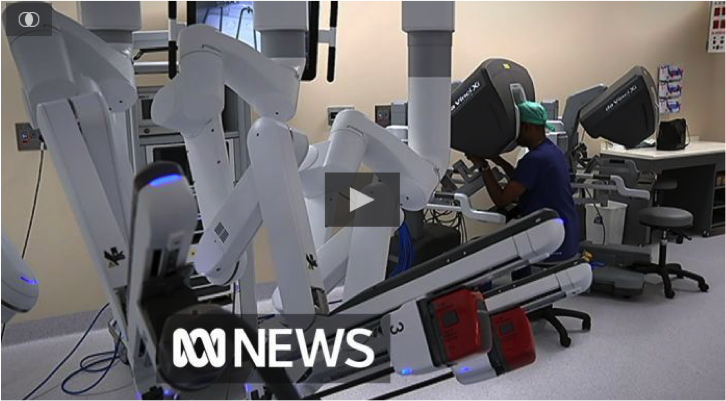 Professor Paul Bannon, Chairman of The Baird Institute, talks to the ABC News about the opening of the country’s first robotic surgery training facility called the “RPA Surgical and Robotic Training Institute” at Royal Prince Alfred Hospital. The facility will have the ability to train up to 400 surgeons each year in the use of the robot and as a result, more patients will have access to these less invasive procedures on the operating table. The robot used to train the surgeons at the Institute cost around $4 million. Robotic surgery allows us to perform complex procedures at a distance, with great precision and great control”, says Professor Bannon. With this technology, surgeons make less invasive incisions which result in better outcomes and improved recovery times for the patient. A quicker recovery means less time in hospital which in turn means a lower cost. The robots have been used for several years in Australia, largely in private hospitals. However, Australian surgeons have had to travel overseas to develop their skills and this has been difficult due to the costs involved and a surgeon’s busy schedule. Now, with the opening of the new training institute, the surgeons will be able to advance their knowledge in Australia, without the necessity to travel overseas. This in turn will allow more public patients access to the less invasive procedures that robot allows. 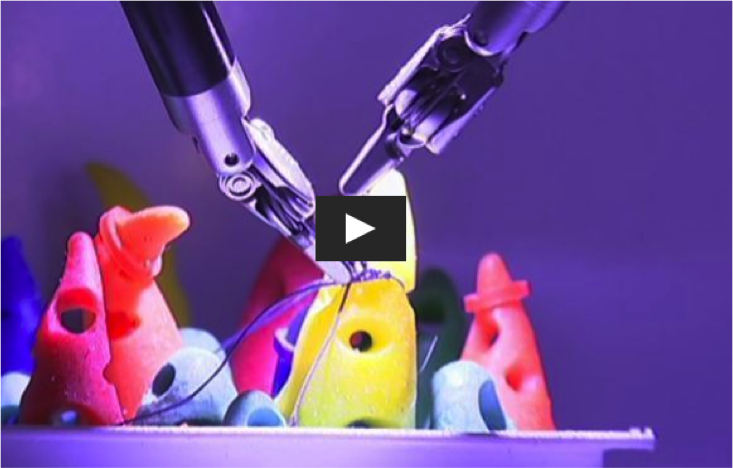 Video showing Doctors learning to use the robot to tie up sutures during a mock surgery. Robotic surgery allows us to perform complex procedures at a distance, with great precision and great control. We want to know how to teach robotic surgery and how to teach it better and we want to know exactly what the benefits to the patients are. A robotics surgery symposium will be held in late June where doctors will discuss having a national register for surgeons who provide robotic treatment. The meeting will also address discretionary surgeon fees for such procedures. For more than a decade, robotic machines have largely been used in private hospitals for procedures like robotic prostatectomy to treat prostate cancer and robotic mitral valve surgery for heart failure patients. Nepean Hospital has been using robots for four years in the public system, however surgeons still had to travel to the United States for some of their training. A 2016 Australian study published in prestigious journal The Lancet questioned the value of using expensive robotic technology to treat prostate cancer patients. The Surgical and Robotics Training Institute will also collect patient outcome data and present its findings to state and federal governments.